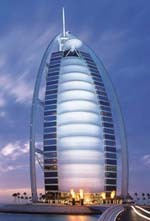 Description: A billowing, sail-shaped structure soaring 321 meters above the Arabian Gulf, Burj Al Arab is a dramatic tribute to the region's seafaring heritage. Combining the latest technology with a long-standing reputation of Arabian hospitality, the hotel symbolizes the very essence of Dubai. It embraces the best of the new alongside traditions of the past. Individual service and attention to detail are paramount, with a private reception area on each floor, as well as a butler service for every suite. 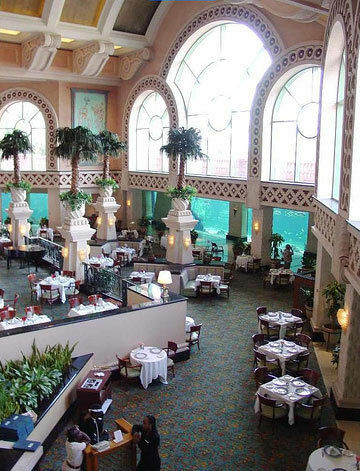 Location: Dubai International Airport -DXB- is 25 km north, Hotel Souk Madinat Jumeirah - 0.7 km, Gold Souk - 24 km, Deira City Centre - 20 km Burjuman Shopping Center - 15 km. Mall of the Emirates -3 km. Shuttle bus service is provided to all residents. Number of rooms: 202 duplex suites. Type of rooms with a size: deluxe suite one bedroom (169 sq.m), panoramic suite one bedroom (225sq.m), club suite one bedroom (330 sq.m), two bedroom suite (335 sq.m), three bedroom suite (670 sq.m), presidential two bedroom suite (667 sq.m), royal two bedroom suite (780 sq.m). Facilities & Services: alarm clock, baby sitting, bars, beauty salon, concierge level, free parking, hairdryer in rooms, mini bar, modem jack, laplot, plazma TV, meeting facilities, non-smoking room, free newspaper, parking, restaurants, room service, safe deposit box. Activities: Assawan SPA & health club, pools, tennis courts, gymnasium, fitness classes, squash, volleyball, basketball, diving, windsurfing, waterskiing, hobie cat, sailing, kneeboard, banana boat rides, kayaks, deep sea fishing, yacht charter, luxury motor yacht cruises, laundry/valet. 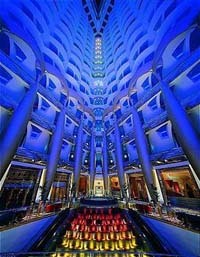 Description: The award-winning hotel, inspired by Arabian seafaring tradition has been architecturally designed to reflect the form of a breaking wave. 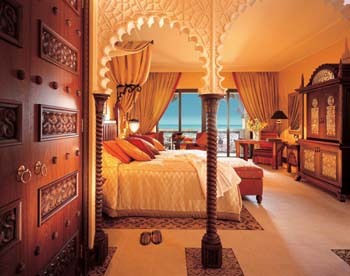 All rooms and suites enjoy a spectacular panorama of the sea, some with private balconies. Luxuriously appointed and exquisitely furnished, each standard guest room, at 50 square meters, exceeds the proportions of most international hotels. Activities: pools, tennis courts, gymnasium, fitness classes, squash, volleyball, basketball, diving, windsurfing, waterskiing, hobie cat, sailing, kneeboard and banana boat rides, kayaks, deep sea fishing, yacht charter, luxury motor yacht cruises, Wild Wadi aqua park. 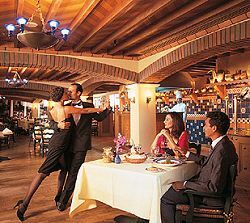 Description: Situated on a picturesque, tranquil 250ms white beach amid lush tropical gardens, Jumeirah Beach Club Resort & Spa is a unique experience. Polynesian-style low rise buildings, landscaped gardens, spacious terraces and a holistic spa - offering you an atmosphere of total tranquility. 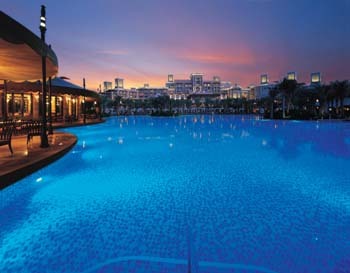 Location: Crescent of The Palm Jumeirah, Airport - 26 km .Mall of the Emirates – 8 km. Ibn Batuta Mall -11km. Shuttle bus service is provided to all residents. Terrace Suites (94 square meters) nestled in the centre of each tower and overlooking Palm Jumeirah or the Arabian Gulf, each Suite offers a bedroom, living room and a large balcony on which to sunbathe or dine alfresco. Regal Suites (164 square meters) gracing either side of the grand Royal Towers arch, the Regal Suites have breathtaking views directly down the centre of Palm Jumeirah and beyond. Each private terrace is accessible from the living room and is a great place on which to sit and relax. These incredibly spacious suites include private pantry, living and dining area, bathroom and master bedroom. Royal Suites Located on the upper floors of both Towers, each suite includes a grand lobby with a corridor entrance leading to the master bedroom, en suite his and her bathrooms and a private living area. The suite is equipped with guest accommodation and en suite bathroom, complete with jetted tubs and an open shower with water wall. A grand lobby leads through to a dramatic living room and adjacent dining room which seats up to 10 people, with separate butler’s pantry and butler’s entrance. 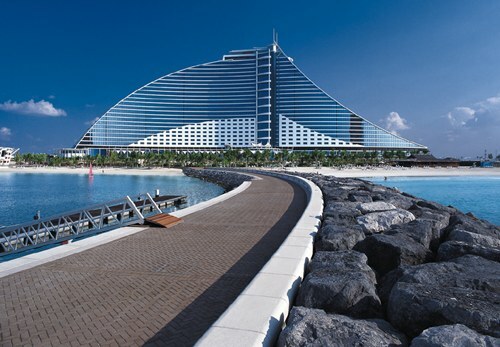 The generous sun terrace stretches around three corners of the Royal Towers, offering unique views of the surrounding Gulf and Dubai cityscape. Presidential Suites situated on the higher floors facing Palm Jumeirah, these superior suites feature a hallway and half bathroom, large living room, separate room for dining or meetings, butler’s pantry and master bedroom with en suite his and her bathrooms complete with jetted tubs. The Lost Chambers Suites are exclusive to Atlantis, with both bedroom and bath views directly into the mesmerizing underwater world of the Ambassador Lagoon. There simply isn’t anything to compare with this breathtaking accommodation. Stretching over three floors, the Neptune and Poseidon Suites welcome guests with a grand foyer leading down a sweeping staircase into an elegant aquatic-themed dining and living area, with butler's pantry. 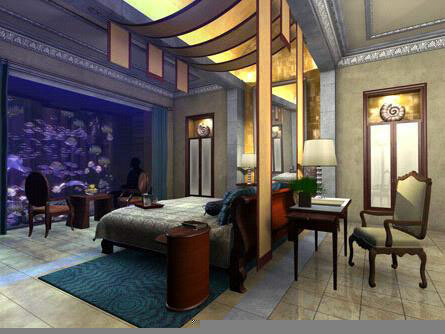 Then, of course, there are the sumptuous bed and bathrooms with their underwater views. If guests are unable to tear themselves away from watching the 65,000 marine animals, a 24-hour dedicated private butler is available to serve refreshments. 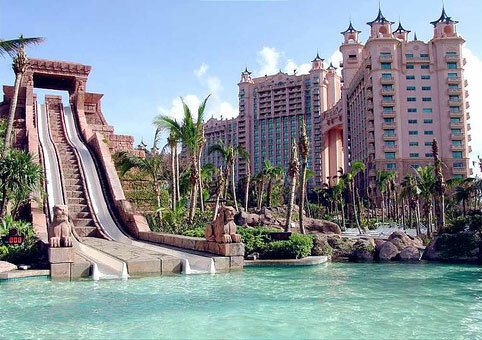 The Bridge Suite spans the Royal Towers, above the signature arch of Atlantis. Relax in style, with vast lounges, two spacious terraces and three beautiful bedroom suites. While enjoying the unparalleled luxury and stunning floor-to-ceiling views over Palm Jumeirah, Dubai and the Arabian Gulf, guests are also able to call upon personal 24-hour service from their own dedicated butler. 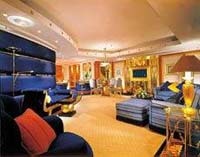 With its private elevator, the Bridge Suite also offers a generous reception lounge, dining area with a gold-leaf table seating 16 guests, and library with state-of-the-art media centre. Both the master bedroom and king bedroom have magnificent balcony views. Both rooms have his and her en suite bathrooms, whilst the third bedroom has two double queens and an en suite. Facilities & Services: balconies, air-conditioning, Satellite TV, direct dial telephone, high-speed Internet access, mini bar, coffee/ tea maker, in-room safe, turn down service, bath accessories, and bathroom, Imperial Club, Atlantis Kids Club and Club Rush for teenagers, Two Royal Towers Pools with large decks and pool caba as Royal Towers Private Beach, The Ambassador Lagoon with 65,000 fish and marine species, Dolphin Bay - an interactive experience with the world's most charismatic animals, The Lost Chambers themed archaeological site with unique marine exhibits, cosmopolitan avenue of over two dozen luxurious retail boutiques, Atlantis Spa with 27 wet and dry treatment rooms , Running track and four tennis courts, ultra-chic nightclub. 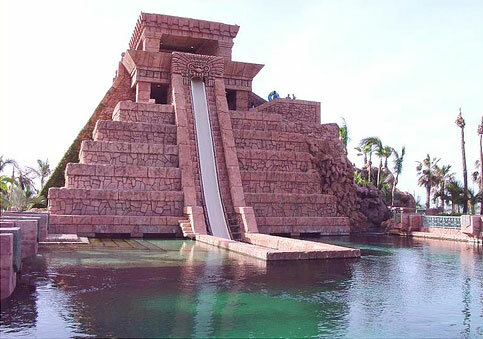 Activities: Aquaventure - 17 Hectares of water based attractions with the Ziggurat standing tall as the grand icon of the water adventures. Over 2 kilometers of non-stop river ride action with cascades, tidal waves and rapid. 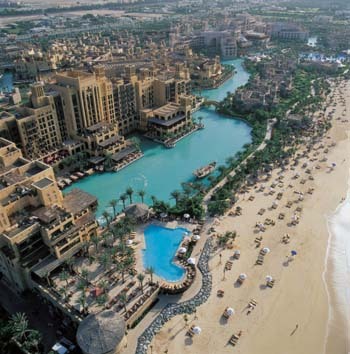 Aquaventure Private Beach with sensational views of The Palm Jumeirah and action-packed water sports. Splashier, a children s play area with pools, elaborate water games and slides set within manicured aquatic gardens, the Zero Entry Pool and Royal Pool have views towards The Palm. 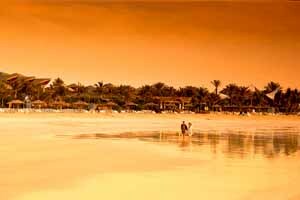 Water sports such as windsurfing and kayaking can be enjoyed from the Atlantis beach. 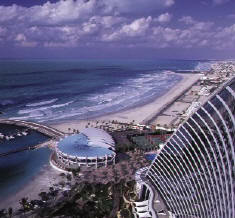 Other excursions, such as deep-sea fishing can be arranged through the hotel concierge. Nobu - internationally acclaimed new-style Japanese restaurant conceived and run by heralded chef Nobu Matsuhisa along with partner Robert De Niro. 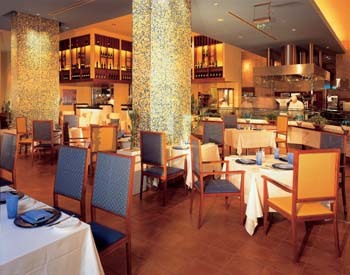 Naisimi -for relaxed casual dining by the sea. 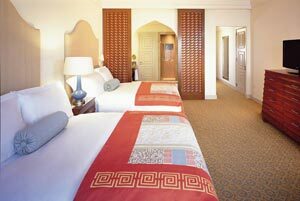 Description: Nestled on the shores of the Arabian Gulf, Mina A' Salam is the 'harbor of peace' - and getaway to Madinat Jumeirah, The Arabian Resort of Dubai. Offering a unique escape into a world rich in culture and faithful to time honored values, Mina A' Salam is a grand boutique hotel of exquisite style. 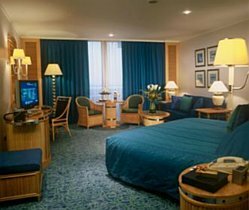 Type of rooms with a size: deluxe balcony room ( 50 sqm), club executive (50 sq.m), premium leisure club room (50 sq.m), ocean suite (115 sq.m), Arabian Gulf suite (122 sq.m), royal suite(268 sq.m). Facilities & Services: 24 hour front desk, maid service, babysitting service, manicure, barber-men’s & lady hairdresser, car rental, multilingual staff, concierge, porter - bell hop, doctor avail-on call, laundry - cleaning svc secretarial services, express check in, valet parking, , mini bar, alarm clock radio, data port, secretarial service, luxurious bath amenities for both ladies and men, safe, hairdryer, smoking & non smoking rooms, disabled guest rooms available, fax machine, scanner, photocopier, Premium Leisure Club, Sinbad's Kids Club, The Quay Health club, Souk Madinat Jumeirah, Six Senses Spa, Madinat Theatre, private banqueting and meeting facilities. Al Qasr and Dar Al Masyaf. 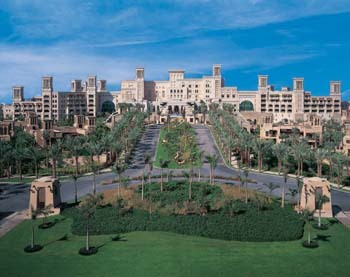 Description: The Palace, the centre-piece of the Madinat Resort and designed to reflect a Sheikhs summer residence. 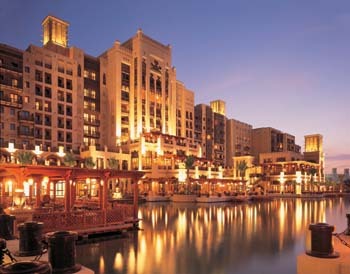 Al Qasr forms a virtual island looking down upon a multitude of fascinating aspects: ancient wind towers, pools, meandering waterways and the superb wide beach. It is grandiose and impressive in its elegant situation - elevated to provide a magnificent - jewel in the crown - at the heart of the Resort. Location: : Dubai International Airport -DXB- is 25 km north, Gold Souk - 24 km, Deira City Centre - 20 km, Burjuman Shopping Center - 15 km. Mall of the Emirates -3 km. Shuttle bus service is provided to all residents. Activities: championship squash courts, tennis courts, fully equipped gymnasium, fitness classes, health club, sauna, windsurfing, sailing, waterskiing, kneeboard, wakeboard and banana rides, kayaks, boat trips, boating, fishing, diving, wind surfing, playground, large pool areas, 1 km private beach. 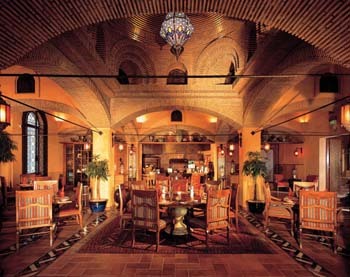 Al Hambra -a taste of Spain with impressions of Morocco. Napa - fresh Californian. Arboretum -international all day dining. Armory Lounge -a restful place of undisturbed quietude. Al Fairooz Lounge -a beautifull lobby lounge. 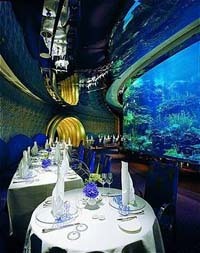 Khaymat Al Bahar - poolside dining. Pier chic- fine seafood on the pier. Mina A Salam and Dar Al Masyaf.